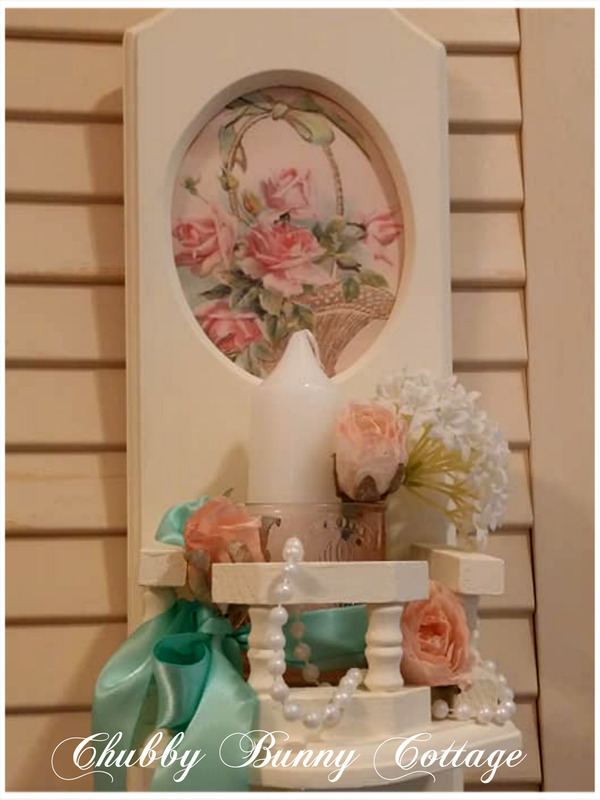 This wooden wall sconce is painted with cream chalk paint. 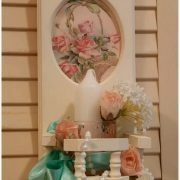 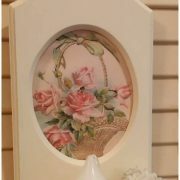 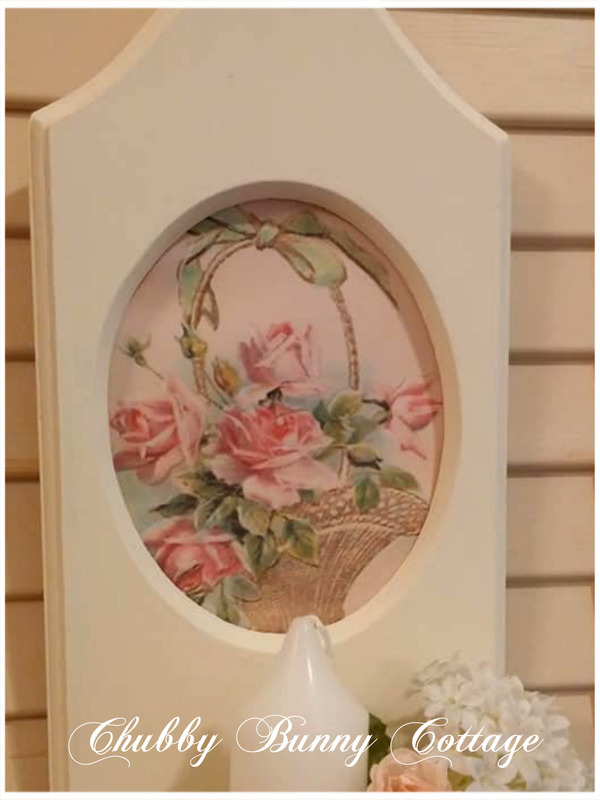 it has an oval cut out with a pretty rose basket with aqua bow print. 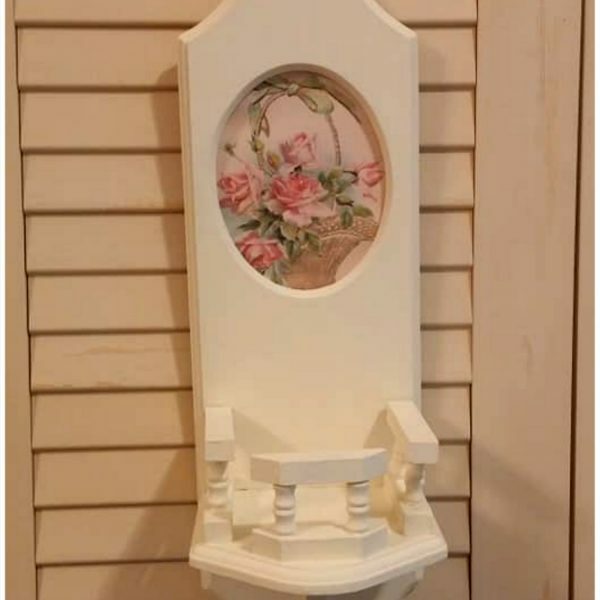 it has spindle rails around the base ledge. 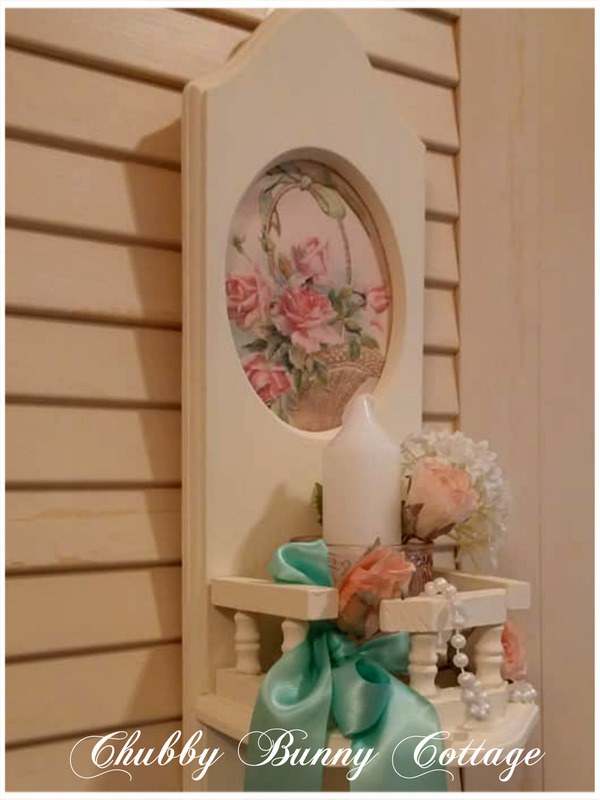 it hangs with on a d hook. 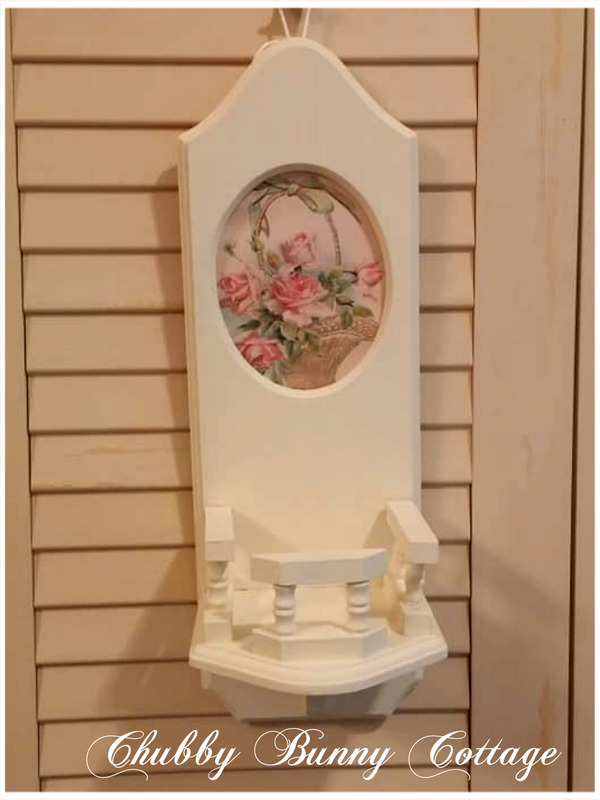 it measures 17″ tall x 5 3/4″ wide x 5 1/2″ deep. 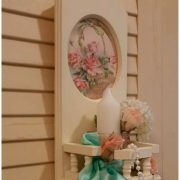 vintage/refurbished/handmade/one of a kind.